And cremation isn't any better. It releases noxious chemicals into the atmosphere in the process. What, then, is the most environmentally friendly way to die? "The best way is to allow your body to feed the earth or ocean in a way that is sustainable for future generations," Susan Dobscha, a professor of marketing at Bentley University and editor of an upcoming book about the green burial industry called, Death and a Consumer Culture, told Tech Insider via email. The biodegradable package, which will be made from potato and corn starches, would then be plunged into the ground and a tree of the deceased's chosing would be planted on top. Over time, the mixture of microbes and nutrients from the decaying corpse would feed the tree, effectively sprouting a new organism - the perfect circle of life. It's also meant to challenge some of the most deeply ingrained rituals and customs concerning the dead. "Our main goal… has been to sensitise people about the unbearable way the modern culture currently deals with death," Citelli and Bretzel told Tech Insider via email. Though Citelli and Bretzel aren't sure how much the capsules will eventually cost, they will likely be much cheaper than a traditional burial, which typically sets a family back an average of $US10,000 ($14,200 AUD). This includes the undertaker and cemetery fees, and costs associated with the burial vault, flowers, clothing, and transportation. This doesn't mean that it will be easy to revise how we honour the dead, however. These eco pods won't be interred willy nilly, but would be memorialised in a 'natural burial site' that would eventually become a forest. There are a smattering of natural burial sites across the US and other countries around the world. For example, the UK was one of the first to establish a natural burial ground, called The Woodland Burial, in 1993. 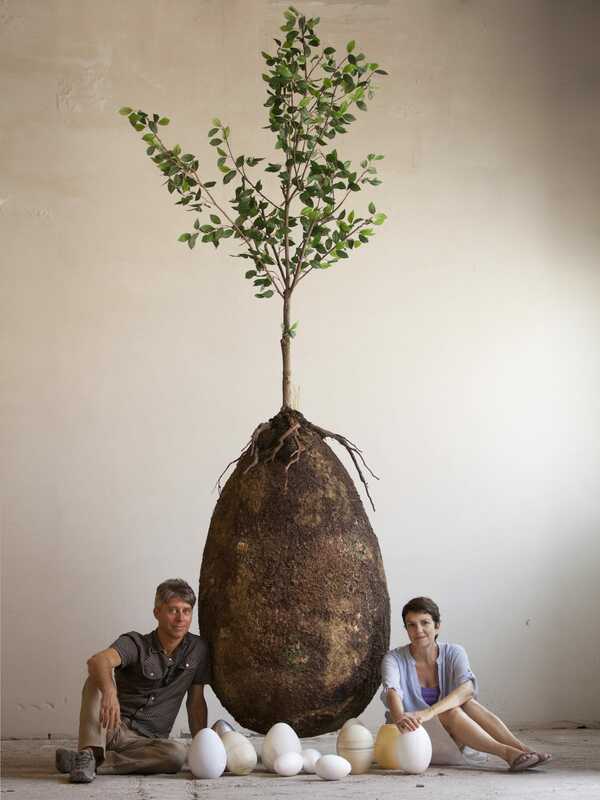 But these 'natural' burials - including the eco pods - are currently illegal in Italy. According to Citelli and Bretzel, Italian law states that coffins can only be made out of wood and tin, and must be buried in a protected, controlled, and closed area. They're currently trying to change this law. While the definition of a 'natural' or 'green' burial varies, the general idea is to allow the body to recycle back into the earth naturally. They usually forego chemical preservatives, such as the use of formaldehyde in the embalming process, or unnecessary materials, such as metal caskets and concrete burial vaults. "This is amazing and really pushes us forward in this project," Citelli and Bretzel said. "This precious legacy is the gift that the person [gives] to the community and to the future."